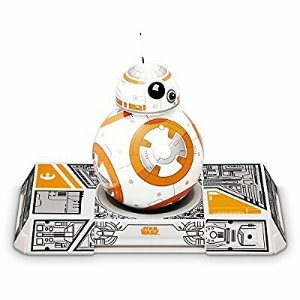 Amazon.com offers the Sphero BB-8 App-Enabled Droid by Sphero with Trainer for $103. Features: BB-8 is the loyal astromech droid of Resistance pilot Poe Dameron. The specially designed technology in this unique BB unit makes it invaluable to the Resistance. A trusted keeper of valuable information and a valiant ally, this Droid is full of features and will stop at nothing to complete its mission.